Earlier, I posted some general photos from the Garden Tour I went on last Sunday. Here are some more specifically culinary photos from the tour. This, believe it or not, is a chicken coop. The outdoor area for the chickens is inside the black fence to the left. 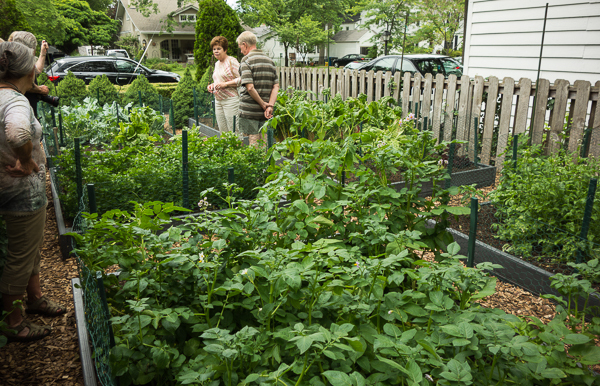 This vegetable garden is in one of the older suburbs of St. Louis, filled with large trees. This garden is shared by three houses, growing on the only sunny spot of any of those three yards. This is one of two large triangle-shaped vegetable gardens at the residence of the director of the Missouri Botanical Garden — they get some professional help and a large budget, I’m guessing. Cabbages on the left, chard on the right, small fruit trees and tomatoes in the middle. Plus flowers. Another garden with laying hens — this one at the residence of the director of Tower Grove Park. Do you go on garden tours? 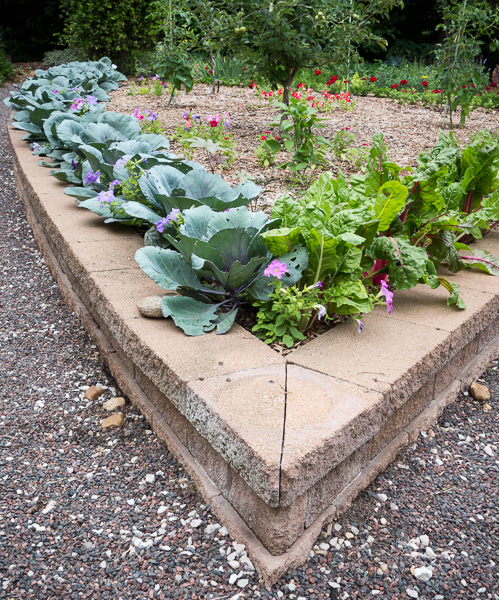 Do you see many vegetable gardens? I think I’m seeing more than I used to — and, definitely more chickens! What a great garden. And I love that chicken coop! How cute is that? The triangle idea is great — it makes everything easier to reach. oh wow! what a great chicken coop! my daughter and son-in-law are building a very simple one but I’m sending her a link to your post cause I know she’ll love this very gorgeous and elaborate coop! Wow what a lovely garden, and that chicken coop is fantastic! That may be the coolest chicken coop I have ever seen. This would be a cool place to visit. Thanks for sharing the tour with us. Love the chicken coop and the triangular garden. 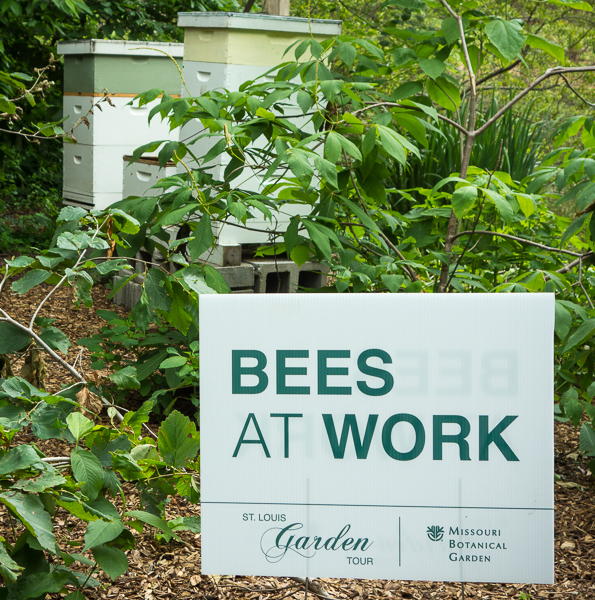 That is a beautiful working garden! I’ve never been on a garden tour, but I’m curious now. I know there’s one in my parents’ neighborhood (and my dad could probably get involved at this point – he spends 8+ hours a day outdoors!). I think my kids were babies the last time I went on a garden tour…and they’re both teens now! What beautiful gardens you got to see on your tour. A lovely garden- I really like that chicken coop- although in Australia we’d call it a chook shed- but that’s some chook shed! I watched a series on French gardens recently, I think you’d enjoy it too. Raised beds gardens are every where. And chickens, oh my! Goats are the new thing too. 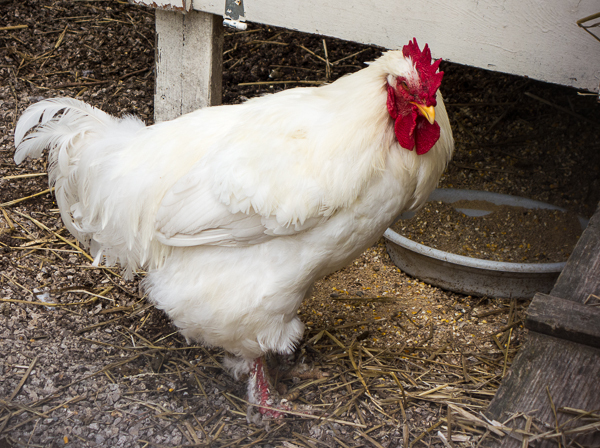 In Portland OR city limits you can have up to 5 chickens,no rooster and 3 goats. People are finding that goats will eat just about anything including laundry and shoes! It is making for interesting stories. Wonderful images or what Im sure is a deliciously productive garden. 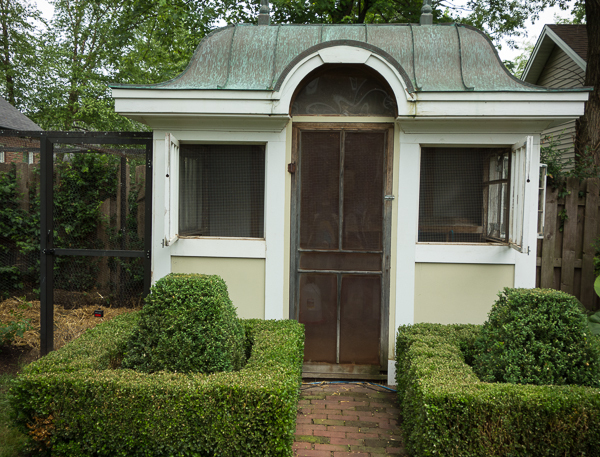 The chicken coop is fit for a queen – I could see myself bunking down in there! I love visiting gardens, but i dont have enough in my area that open for visitors – and then again, any spare time I have I should be in my own garden. Thanks for sharing this.